The agency that built the $2.2 billion Transbay terminal, next to the tilting Millennium Tower, insisted Monday that even though a judge ordered that it pay “a fraction” of Tower’s legal bills, it doesn’t mean the agency and San Francisco taxpayers will have to foot the entire estimated half billion dollar cost to fix the troubled high rise. Last Thursday, San Francisco Judge Curtis Karnow ordered that the Transbay Joint Powers Authority pay for Millennium’s developers defense against a half billion dollars’ worth of construction defect lawsuits. 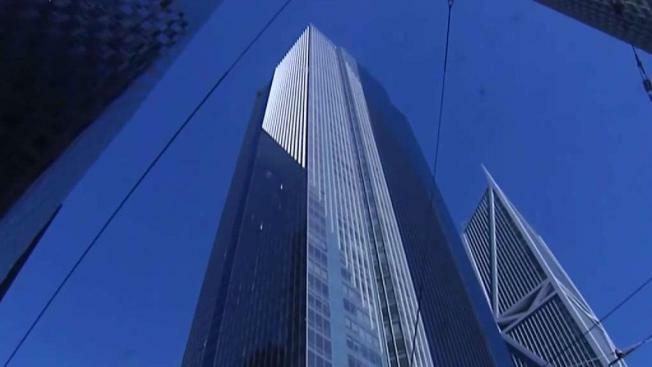 He cited an agreement back in 2008 between the Transbay terminal and the Millennium Tower’s developers. Judge Karnow did not determine whether that same agreement – in which the agency assumed liability for any construction damage in exchange for access -- would now require Transbay to pay to fix the tilting building. The broadly worded agreement requires Transbay to “indemnify, protect, defend and hold harmless” Millennium’s developers from “all claims, expenses…and liabilities of whatever kind or nature” related to Transbay construction. In a statement Monday, Transbay officials cautioned against any “misreading” of Karnow’s ruling. Specifically any misread that might suggest Transbay would be on the hook for all of the Millennium repair costs. The tower is now tilting 18 inches to the northwest. Transbay lawyers argued that’s due to it being defectively designed and not built to bedrock. They also argued that the agreement binding them to pay for damage was invalid because Millennium withheld key facts. The judge found, however, that Transbay knew those facts about sinking and tilting when the deal was re-signed in 2011 – invalidating any fraud claim. The judge did say that Millennium will still have to defend against claims filed by homeowners who accuse the developer of defrauding them by not telling them about the tilting and sinking problem until 2016. But, Karnow noted, Transbay may have to pay to defend other unspecified claims. A hearing to determine who might have pay to fix the tower, and account for other costs, is slated for June of next year.